Technology is changing human flight forever. And a new jet powered wing is taking people to new heights. 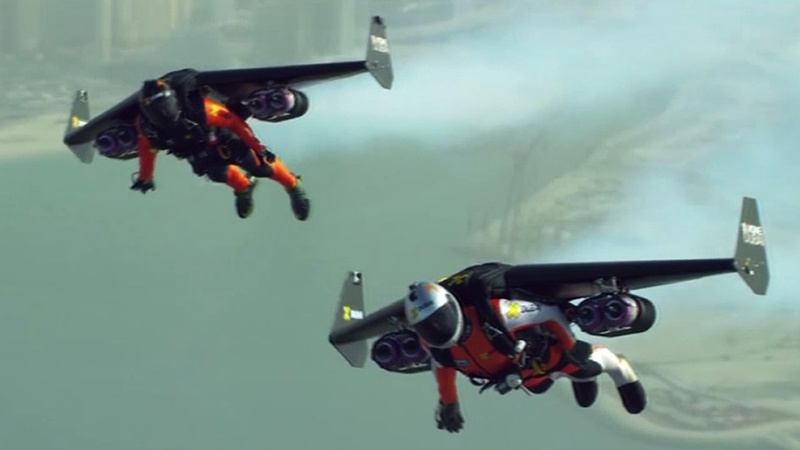 Meet "JetMan" Yves Rossy and his flying partner Vince Reffet. The duo embarked on a spectacular and breathtaking flight straight out of a science fiction flick over Dubai. The video shows them soaring around the city's gigantic buildings with the help of a self-propelled wing that's attached to their backs. Rossy has done this before, soaring across the English Channel and the Grand Canyon.